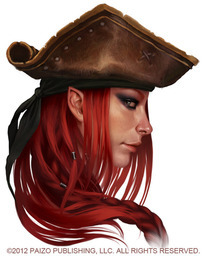 Tessa Fairwind is a slender woman with long red hair worn in a no-nonsense braid. She wears a figure-hugging combination of fashionable finery and practical sailor’s clothes with a tricorne hat at a jaunty angle. Her fine features and delicately pointed ears accent her exquisite looks, and she moves with lithe fluidity and graceful efficiency evident in her every motion. The exact details of Tessa’s past are the subject of much speculation and several tragic ballads among the islands of the Shackles. 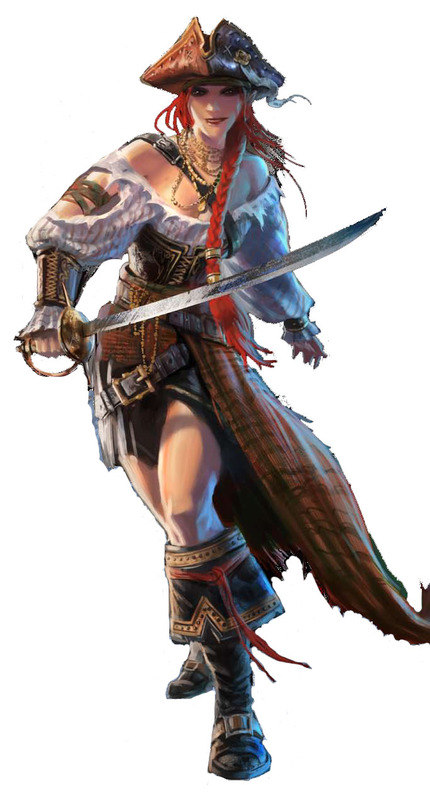 Whatever her origins, Tessa is now Mistress of Quent on Motaku Isle — one of the Shackles’ most important ports — and one of the leading lords of the Pirate Council. Tessa is a shrewd player in the game of politics, but her rebellious and carefree attitude has won her popular acclaim in the Shackles. She worships Calistria. 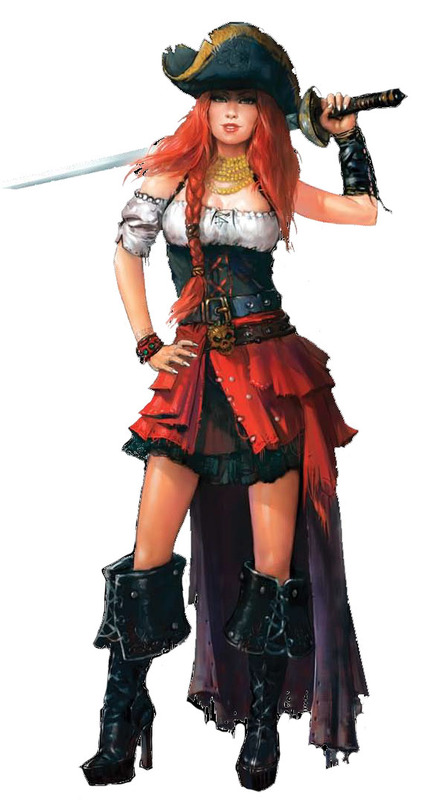 She is good friends with Dindreann, and Lady Cerise Bloodmourn is among those in her service.